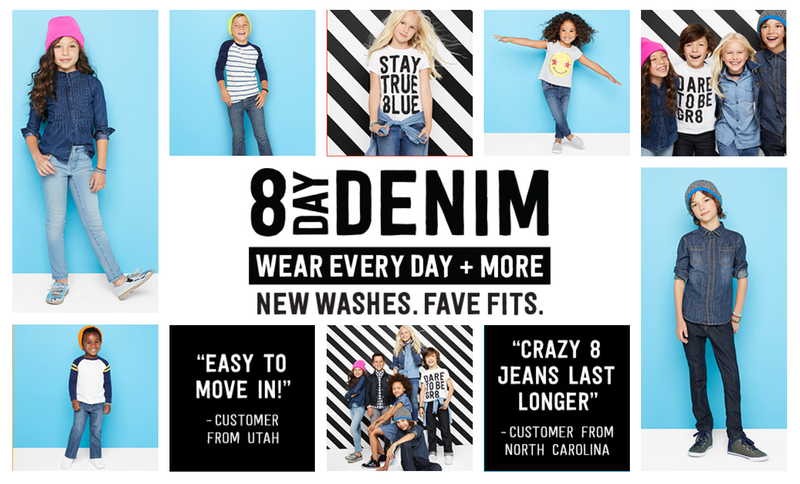 Mommy's Favorite Things: Crazy 8 2017 Denim Collection! Crazy 8 2017 Denim Collection! Crazy 8 has added 7 new washes to their denim collection, making them the place to buy Denim for this back to school season!! I can't wait to check these out, Crazy 8 makes the ONLY jeans that fit my 5yr old perfectly, and since he's starting Kindergarten in September, I need to hit up Crazy 8 and buy him about 5 pair! Shop Crazy8's New Denim Collection!